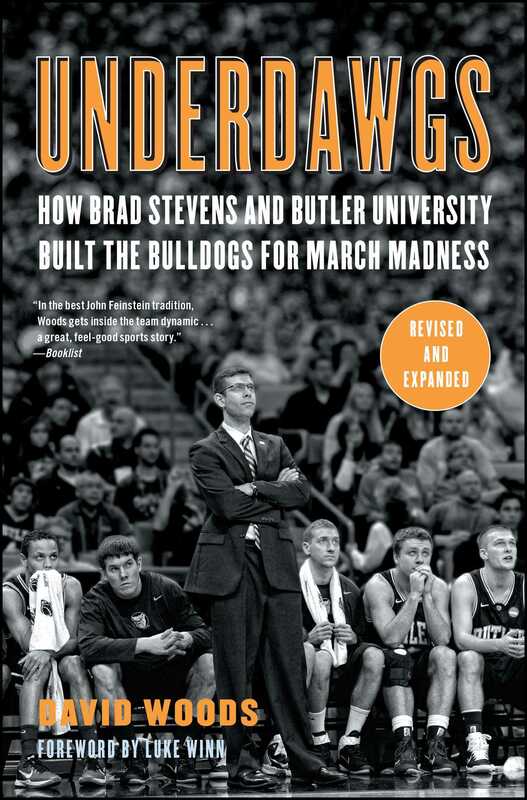 “In the best John Feinstein tradition” (Booklist) the greatest college basketball story in decades—the Butler Bulldogs and their improbable run to two straight NCAA National Championship games—now updated in paperback. 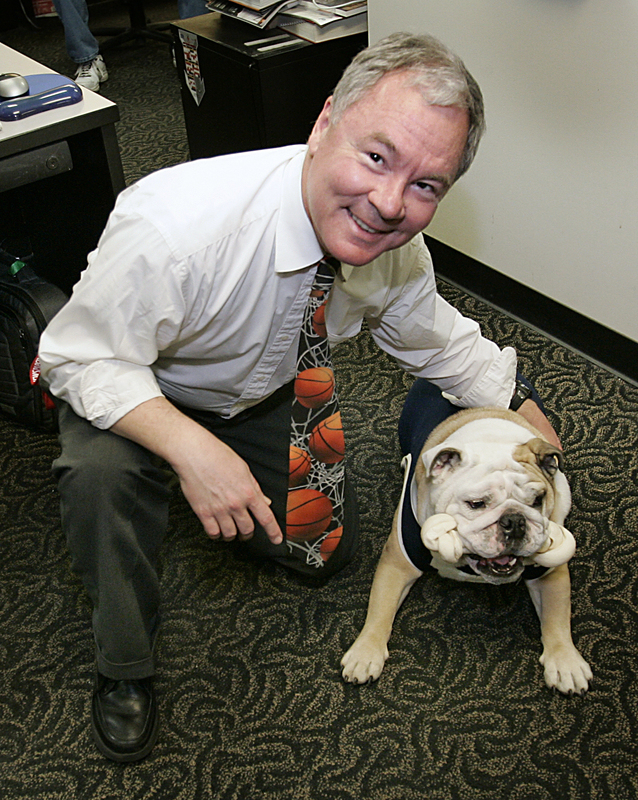 Butler University in Indianapolis became the smallest school in forty years to reach the NCAA championship game. Calculated as a 200-to-1 shot to win, Butler came this close to beating the heavily favored, perennial leaders of college basketball: the Duke Blue Devils in 2010. And in 2011, Butler advanced again to the finals, ultimately losing to UConn—but accomplishing so much. Underdawgs tells the incredible and uplifting story. Butler’s coach, thirty-three-year-old Brad Stevens, looked so young he was often mistaken for one of the players, but he had quickly become one of the best coaches in the nation by employing the Butler Way. This philosophy of basketball and life, adopted by the program, is based on five principles: humility, passion, unity, servanthood, and thankfulness. Even the most casual observer could see this in every player, on the court and off, from 2010 NBA first-round draft pick Gordon Hayward to the last guy on the bench. Much more than a sports story, Underdawgs is the consummate David vs. Goliath tale—the Bulldogs proved they belonged in the spotlight and, in the process, won the hearts of sports fans everywhere. The sun set in the west, spring showers were falling, and the Duke Blue Devils were on the verge of a national championship. It was April 5, 2010, and normalcy had returned to college basketball. Duke was overriding a fictional tale with the facts. The Blue Devils were too big, too talented, too tough, and too well coached to lose to a small-college team that began the NCAA Tournament as a 200-to-1 shot. It did not matter that most of the 70,930 in attendance on a Monday night at Lucas Oil Stadium—a $720 million palace built for the National Football League’s Indianapolis Colts—were cheering for Butler. Or that most wanted to witness American sports history. Indiana’s governor, Mitch Daniels, said he was anticipating the greatest upset “since Lake Placid,” where an underdog USA hockey team beat the Soviet Union at the 1980 Winter Olympics. Downtown was bustling all weekend with fans wearing Butler gear and shouting, “Go Dawgs!” That contrasted to the previously tepid fan support for the Bulldogs in their home city. In college sports, this was as close to rags to riches as it gets. Butler once considered abandoning major college basketball, sent teams traveling in an old limousine called the “Blue Goose,” played before crowds of fewer than 1,000, and didn’t cover the full cost of players’ scholarships. Among college basketball Goliaths, Butler was a David, except without the stone. Butler had the smallest school (enrollment: 4,200) in the NCAA championship game in 40 years. This was a real-life version of Hickory, the fictional team in the movie Hoosiers, based on the true story of Milan High School, which beat an opponent with an enrollment 10 times larger to win Indiana’s state tournament in 1954. Movie scenes were filmed in Hinkle Fieldhouse, the 82-year-old arena where the Bulldogs played. Hollywood wasn’t in control, though. Duke was. The Blue Devils were ahead, 60–55, and fewer than two minutes remained. It had been tense, taut, tenacious labor. The teams were never separated by more than six points. Butler had trailed in the second half of all five of its 2010 NCAA Tournament victories, but not by this many points this late in the game. In the tournament, Duke had become the first to score as many as 60 points against the Bulldogs. Since this tournament expanded to 64 teams in 1985, no other team had held five successive opponents under 60. You couldn’t solve the Dawgs’ defense. You tried to survive it. Duke’s defense proved to be similarly impenetrable. This was old-school, possession-by-possession, hard-nosed basketball. And Duke could play that way better than anyone. Coach Mike Krzyzewski hadn’t come this far to be denied a fourth national championship, second only to the 10 by UCLA coach John Wooden. Duke forward Kyle Singler, toward the end of a 19-point night, uncharacteristically was called for traveling with about two minutes left. Butler point guard Ronald Nored dribbled around the half-court, nearing the basket, but was swarmed. He passed the ball out to Gordon Hayward, the Bulldogs’ marvelously versatile 6-foot-9 sophomore. Hayward dribbled toward the basket before looping a pass over his head to Matt Howard underneath. Howard’s layup bounced off the rim and through with 1:44 on the clock. Duke ran 25 seconds off the shot clock before Nolan Smith’s left-handed attempt rolled off the rim. Nored cleared the rebound for Butler, pushed the ball upcourt, and passed to Shelvin Mack, who was alone near the 3-point line. Such 3-pointers in transition were Mack’s specialty. This one missed. The 6-foot-8 Howard, whose participation had been in doubt because of a mild concussion, was hustling as always. He outfought everyone else to rebound the ball. Howard passed out to Hayward, who passed to Nored, who sent it over to Mack. This time Mack bounced the ball for a while, then located Howard on a pick-and-roll play. Again, Howard laid it in. Fifty-five seconds remained. If the pro-Butler crowd had despaired moments before, the momentum had reversed. Seventy thousand voices reverberated under a stadium roof that was retractable, and perhaps that top did move a centimeter or so. After the time-out, Duke worked the ball to Singler, who was unguarded at the right of the foul line. His jump shot was short, grazing the rim. There was a scramble underneath as Duke’s 7-foot-1 center, Brian Zoubek, attempted to shove Howard away. Official Ted Valentine signaled Butler possession, pointing that the ball went off Zoubek’s foot. Thirty-four seconds remained. Duke 60, Butler 59. The scoreboard had not changed. History beckoned. Butler had the ball, and the chance to win a national championship. Destiny, not Duke, was the opponent. Hayward passed inbounds to Nored, who dribbled right to left after crossing midcourt. Nored passed to Willie Veasley, then received a return pass and drove into the foul lane. Cut off by Duke’s Jon Scheyer, Nored passed back to Veasley, who in turn passed to Mack. Mack dribbled backward, then saw an opening and headed for the free throw line. He stopped. Veasley was open in the left corner, but Mack’s pass was deflected out of bounds by Zoubek. Time-out, Butler. Thirteen and six-tenths of a second remained. Hayward tried to pass the ball inbounds from the left corner, but with Zoubek in front of him, found no one available. Hayward placed his hands in the shape of a T.
Time-out, Butler. As before, 13.6 seconds remained. On a second out-of-bounds play, Howard began with the ball. Mack would have been an option, but he was stationed in the right corner and not in position to catch an inbounds pass. Howard passed high to Hayward, who leaped to catch the ball about 30 feet from the basket. Hayward, guarded by Singler, started left, dribbled behind his back, and veered right. There was not a clear path to the goal. Singler stayed with his man, directing Hayward toward the baseline and Zoubek. Hayward stopped, leaned back, and arched a shot over Zoubek’s outstretched left arm. Hayward had made only two of nine attempts until then, but as he shot the ball with seven seconds left, this one looked true . . . but was not. The ball struck the back rim and bounced directly to Zoubek. Mack fouled him. Players walked to the other end and took their places along the foul lane, waiting for Zoubek to shoot. From the sideline, Krzyzewski motioned where he wanted the Blue Devils positioned along the foul lane. He and Duke players stood, seconds away from what they hoped would be a national championship. Butler forward Avery Jukes, whose 10 first-half points had kept the Bulldogs in the game, was a picture of concentration as he kneeled in front of his bench. CBS cameras panned to worried looks of Butler cheerleaders, all of them adorned with a Bulldog painted on their faces. Zoubek dribbled three times, squared his shoulders, and released. Swish. Duke 61, Butler 59, with 3.6 left on the clock. Then Zoubek executed a calculated risk by Krzyzewski. The Duke shooter intentionally missed the second free throw. The Duke coach did not want to go into overtime, figuring the hometown Bulldogs would have an edge in an extra five minutes, especially with Duke in foul trouble. Krzyzewski reasoned that a missed free throw would make it difficult for Butler to retrieve the ball, advance it, and attempt a shot—more difficult, in fact, than scoring on an inbounds play. The strategy was defensible, with one caveat: a 3-pointer, maybe from half-court, would beat Duke. But what where the chances of that happening? Hayward, with no Duke player between himself and Howard on the inside position of the foul lane, leaped and easily collected Zoubek’s miss off the back rim. Hayward took two short dribbles and two long ones as he advanced the ball. Howard stopped to set a screen before the midcourt line, and Singler crashed into him so hard that he fell backward. Hayward took another long step and a half, and he aimed from half-court, about 45 feet away. The 70,930 onlookers inside the stadium, 48 million TV viewers, and more millions online in 178 countries, watched expectantly. The ball they were watching was not thrown wildly. Hayward released with a running start, and the basketball had the proper trajectory.